Antiradical activity of goji berry (Lycium barbarum) was evaluated by means of electron paramagnetic resonance spectroscopy. The goji berry samples were exposed to gamma-irradiation at doses 0.05, 2 and 10 kGy. The characteristic satellite lines from cellulose radicals can prove irradiation treatment. Their intensity increase after alcohol washing and lyophilization. The fading property of satellite lines show that identification of radiation treatment is possible for 50 days. 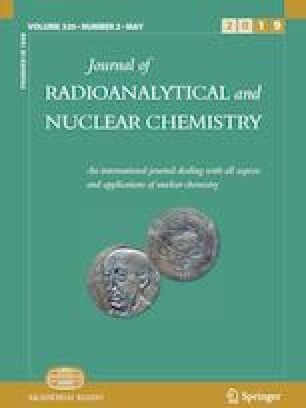 The effect of irradiation on antiradical properties of goji berry extracts was investigated by radical scavenging activity using the stable free radical 1,1-diphenyl-2-picrylhydrazyl (DPPH). The percentages of scavenged DPPH radicals and IC50 of the extracts of goji berry before and after irradiation were calculated. The antioxidant capacity was presented in Trolox Equivalents as well. It was found out that gamma irradiation of goji berry fruits increases its antiradical activity. The authors thank the Bulgarian National Science Fund - Bulgarian Ministry of Education within the framework of Project “DN19/14″ (from 12.12. 2017) for the financial support.